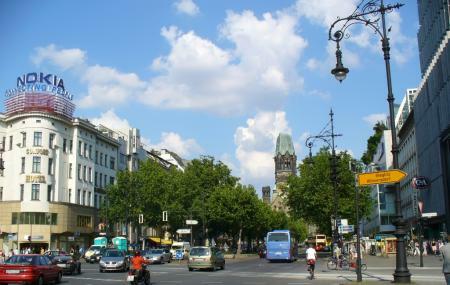 Ku’damm is the common name for one of the most famous avenues of Berlin- Kurfurstendamm. If you want to experience the liveliness and the hustle and bustle of Berlin, then this is the best place to begin with. It does not only have various cafes and bars, but also lots of shops lined up from where you can shop to your heart’s content. The best part is that it also has various trees and is one of the main junctions which connects a lot of prominent areas of Berlin. You have a hint of modernization in Ku’damm as well as an entire area dedicated to bohemian and hippie art. Basically, Kurfurstendamm is one of the perfect places to get a flavor of most lifestyles. Depends on what you purchase and activities. Please enquire about any particular place that you want to visit in this avenue in advance. You can use the underground Berlin U Bahn to get to Kurfurstendamm station. People normally club together Dahlem Museum and Sony Centre while planning their visit to Kurfurstendamm.